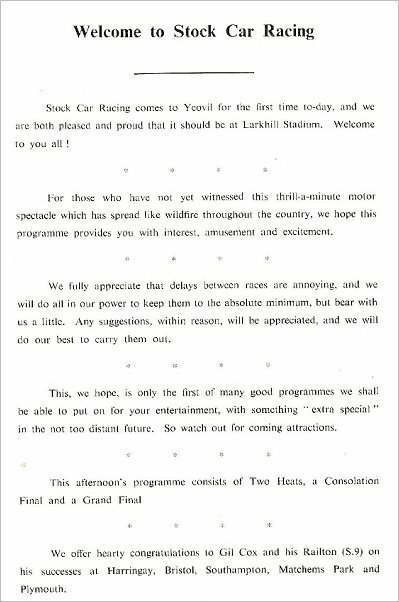 Yeovil had a long tradition with coursing and actually had four venues for greyhound racing. Greyhound racing took place around the famous sloping Yeovil Town Football Club pitch in Huish from as early as 12 May 1928. 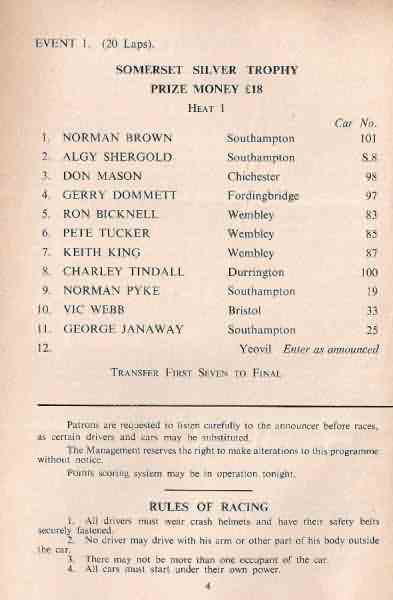 On Saturday 22 August 1931 Barwick Fields, south of Yeovil, became a venue used for greyhound racing. The location is believed to be somewhere near to Barwick Park. 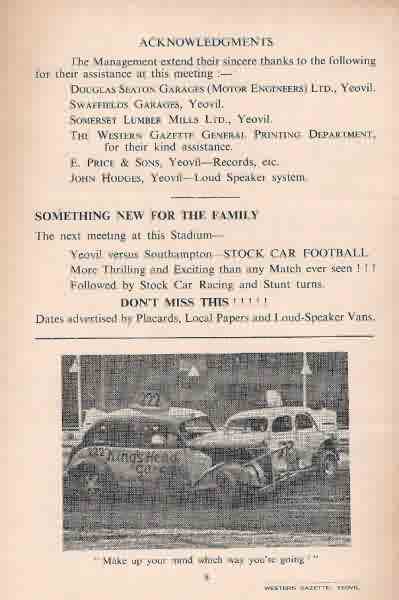 525 yard events were held and they continued until early 1932 when the racing seems to have moved into central Yeovil. 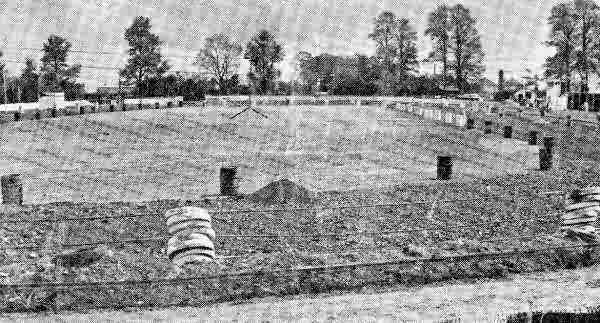 Racing became more regular in 1932 when the track known as West Hendford seems to have replaced the Barwick Field events. This may have taken place at the field later known as the cricket ground and used for county cricket matches between 1935 and 1939. In August 1946 the initial reasons for building a £30,000 syndicate-backed stadium at Larkhill that would cater for all sports was given to Yeovil justices - providing a greyhound racing license was granted (see Gallery). 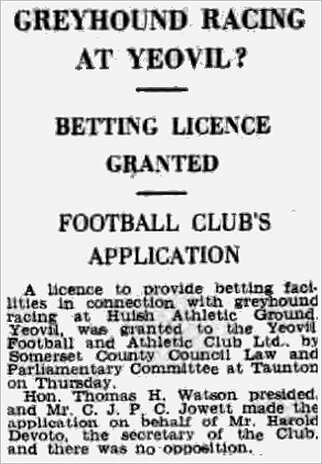 On 5 February 1947 a betting license was granted to William James Parsons of Wyndham Street for a "proposed greyhound racing track at Higher Larkhill", although the license was transferred to Mr FP Harding of Bristol in October 1947. The purpose-built greyhound track in Yeovil was based at the Larkhill Stadium on Larkhill Road and first opened its gates in 1947, built on fields that had originally been part of Larkhill Farm. The stadium was able to accommodate a significant 20,000 people and there was a licensed club and bar. 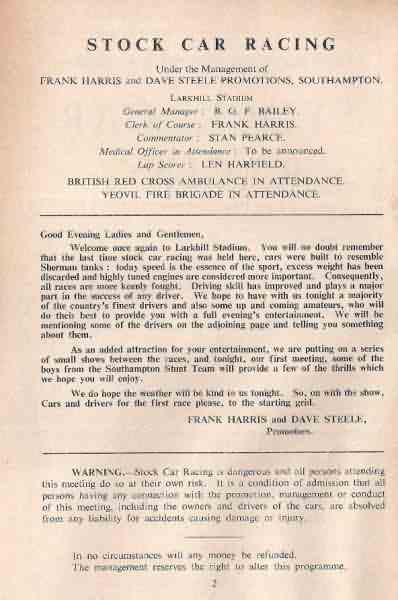 Racing was on Tuesdays and Fridays at 7.30pm. The track circumference was 430 yards with race distances were 330, 530 & 730 yards. The centre of the track was used, as promised, for other sports including use as a football pitch and the senior team of the popular St John's Gym and Boys Club latterly played their home matches in the Larkhill Stadium. 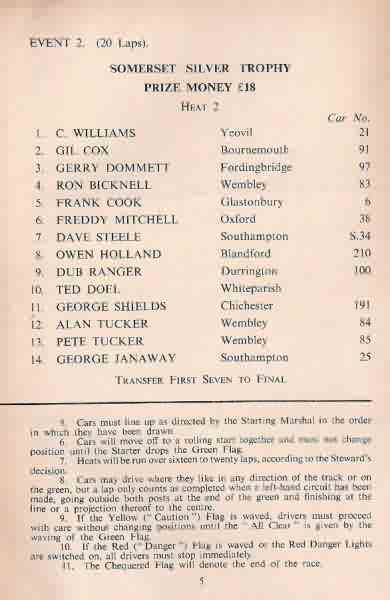 During the 1950s a series of stock car races were held at Larkhill Stadium - see below. Planning consent for housing was sought in 1971 and the stadium closed in November 1972. The track was run independently until its closure. By 1974 the stadium was built on and today the site of the stadium is covered by housing around the Larkspur Crescent area. 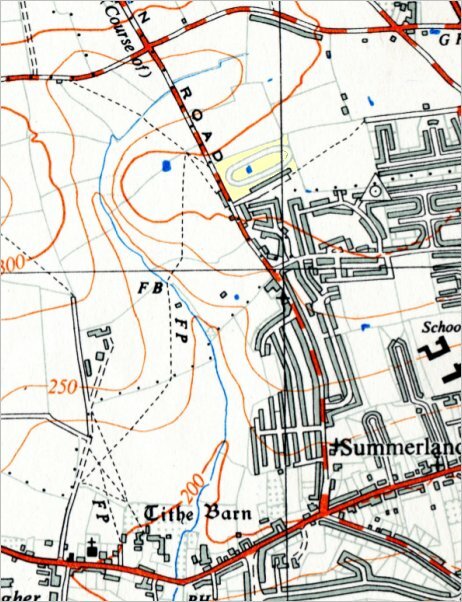 The 1958 Ordnance Survey showing the whole of Larkhill Road at centre. I've coloured the stadium light yellow to show its position. This photograph, taken outside the Quicksilver Mail, possibly dates to about 1930 - when greyhound racing in Yeovil was held at Barwick Field. 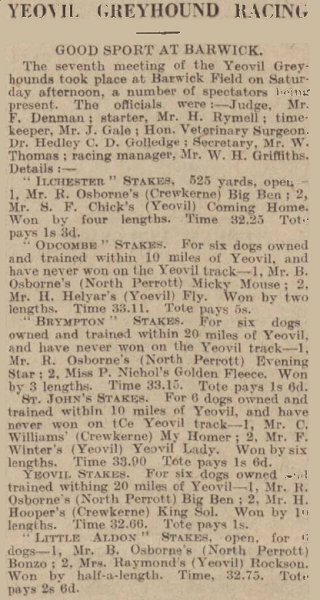 A report on the seventh meeting of Yeovil Greyhounds held at Barwick Field from the Western Gazette's 18 December 1931 edition. 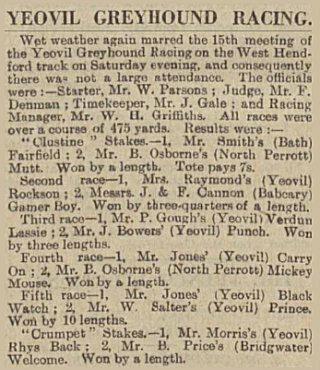 A report on the fifteenth meeting of Yeovil Greyhounds held at the West Hendford track from the Western Gazette's 13 May 1932 edition. .... and, apparently, greyhound racing was set to make a return to the Yeovil Town FC ground at Huish according to this report in the 2 June 1945 edition of the Taunton Courier. This report from the 17 August 1946 edition of the Somerset County Herald outlines the initial reasons for building a syndicate-backed stadium that would cater for all sports - providing a greyhound racing license was granted. 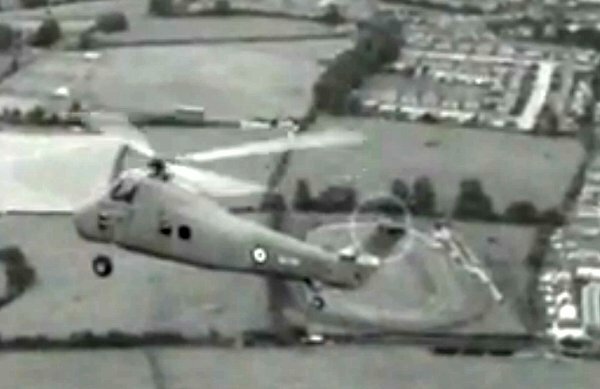 A still from a film of the maiden flight of the first built Westland Wessex helicopter flying over Larkhill Stadium (bottom right sector) on 20 June 1958. 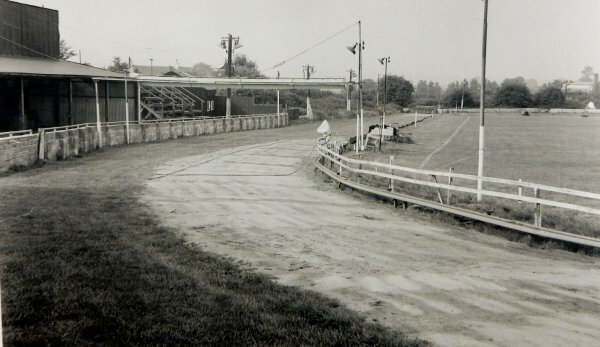 Larkhill Stadium, photographed in the 1960s by WH Rendell. 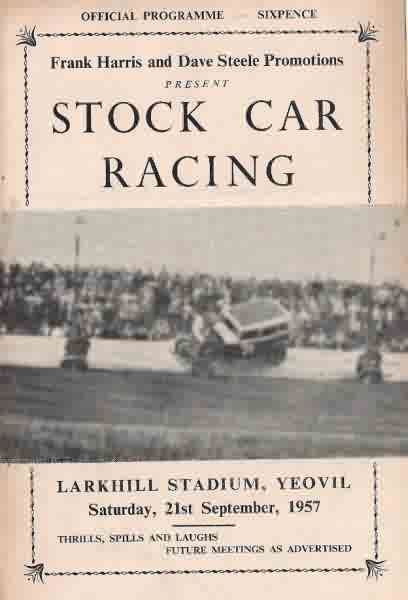 There were only ever three stock car race meetings held at Larkhill Stadium, Yeovil. 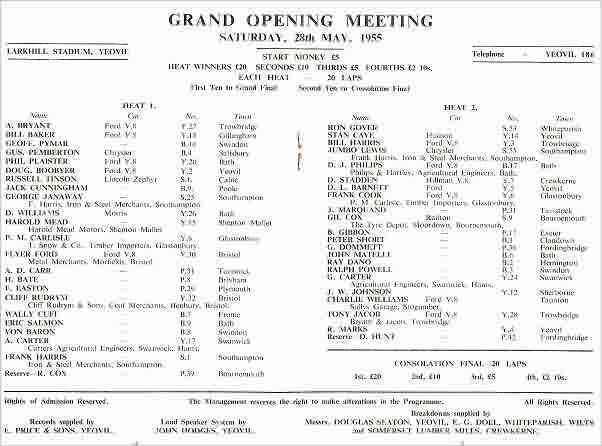 The opener on 25 May 1955 and then two further events on 21 September 1957 and 5 October 1957. 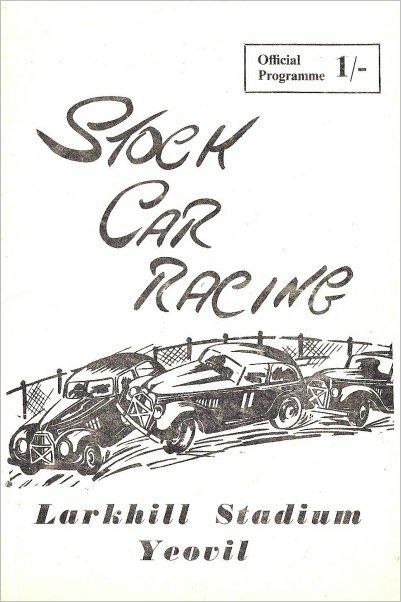 Many thanks to Graham Brown (via John Penny) for the following pages from two stock car meetings - the first from 28 May 1955 and the second of 21 September 1957. The stadium being prepared for stock car racing, 1955.